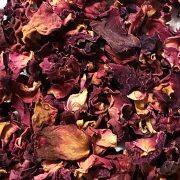 These organic rose petals are from India. 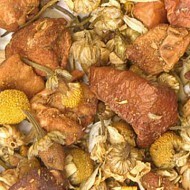 Even though the rose is usually appreciated for its beauty and aroma, the dried petals steep a delicate brew. 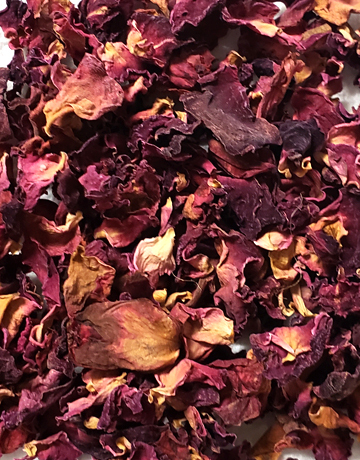 The petals are picked every day by hand on the first morning the flower opens, just before sunrise when the content of the oils are at their highest. 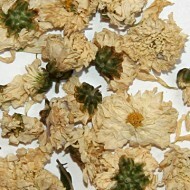 Then they are dried immediately. 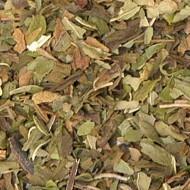 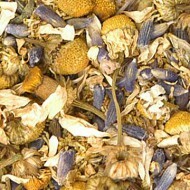 They are a good source of vitamin C and add a nice aroma to tea blends.